The mayor of a small Southern Californian city of Los Alamitos stepped on some toes when he sent a racially-insulting email to what he described as a “close group of friends”. 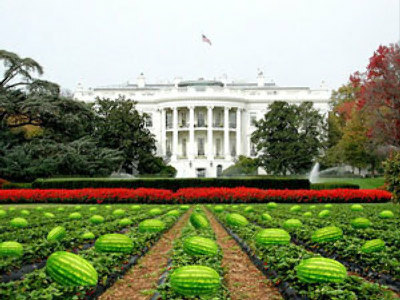 The email featured a picture that was mailed out from the mayor’s personal account depicting the lawn in front of the White House filled with watermelons. The caption underneath it stated: “No Easter egg hunt this year.” This, according to critics, evokes messages of a stereotype, which describes African-American people liking watermelons and chicken. The mayor’s actions were made public when one of the recipients of the email publicly scolded him for its contents. Local businesswoman and city volunteer Keyanus Price, who is black, reported receiving the e-mail from Grose's personal account on Sunday and wants a public apology. Grose confirmed to the AP that he sent the e-mail to Price and said he didn't mean to offend her. He said he and Price are friends and serve together on a community youth board. Mayor Dean Grose issued a statement on Thursday saying he regrets his actions and will step down as mayor at the City Council meeting on March 2 since he has discredited himself. According to Grose, he was unaware of the stereotype that black people liked watermelons. Nevertheless, the regrets expressed by the mayor did not appear to have worked and, driven by a landslide of scolding public opinion, Grose will be forced to resign.